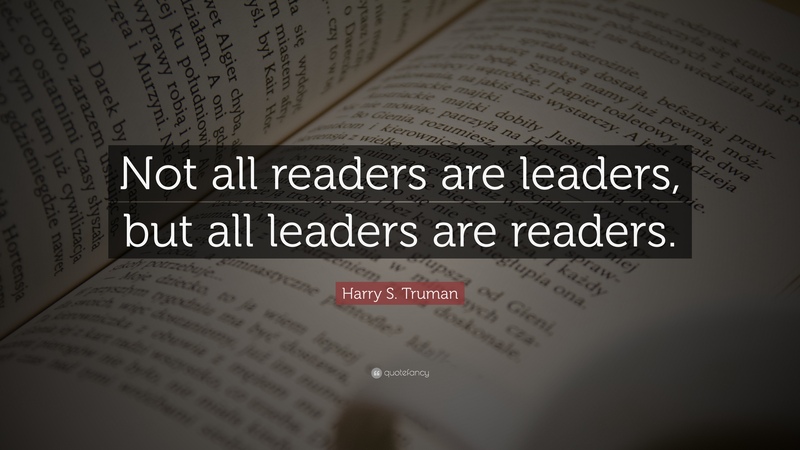 President Truman said it best with his famous quip about the link between reading and leading. It’s the same principle that has powered a popular business podcast: Read To Lead podcast by Jeff Brown. As you plan your professional development in 2016 and beyond, I urge you to make reading a key part of your program. In this article, I will highlight book suggestions for you to consider. The art and science of productivity is an excellent area to learn and practice. As project managers and knowledge workers, we have considerable autonomy in how we run the day. That means we have the opportunity to create results or drift through the day. Use these books to make the most of your working hours. I wrote about this book in December: The Truth About Employee Engagement. Lencioni’s approach of writing business fables makes it easy to learn new principles through story. At first glance, that may seem a strange approach for a book. Yet, I found it highly compelling. Lencioni makes a great case for the merit of being measured in a meaningful way. An outstanding book about the power of habits, those actions that we do over and over again. Duhigg discusses both individual and organizational habits. As a New York Times journalist, Duhigg is well suited to present this book. I enjoyed the book’s and Duhigg’s explanation of habit formation (the habit loop). The book also explains the interesting link between marketing and habits. Tip: Read Duhigg’s guide “A Guide To Changing Habits” to get started. I know that I have mentioned this book a number of times. That’s not by accident. This is one of the best productivity books I have ever read. A new edition of the book was published in 2015, so the book is well worth revisiting. It is one of the rare business books that delivers results over multiple readings. Tip: Discover how to use The Weekly Review practice from the book – it is a game changer. Are you happy with how you start your day? I have found that that I’m happier and better at my work when I start the day on my terms. In this short book, Elrod explains how to redesign your morning routine. The book proposes a series of habits to start your day each day including reading, silence and exercise. Waking up earlier is great, but it is not enough. You need to fill that time with good habits. The book has over 1,100 Amazon reviews. That’s impressive! Did you know that experienced, highly educated medical professionals make mistakes? Some of those mistakes result in dire results. Gawande, an American surgeon, noticed these problems and looked for solutions. His insight: checklists, a simple low cost tool, make a big difference. I have found checklists an outstanding way to prevent errors. Tip: Want to create a checklist? Use this article to get started – How To Build A Checklist In 6 Steps. There are many roads to becoming more productive. Using apps and technology is one approach. Delegation is another approach. McKeown makes the case for elimination and making difficult choices. One of the book’s best chapters explains how and why to say no to other people to maintain focus on the essential. You may want to start a business. Or you may simple be inspired by those who have started companies. Here are some observations I learned from these individuals. My reading focused on technology entrepreneurs because their products and services impact my daily life to a great degree. That said, I’m aware that they represent only one part of the business world. Innovation is often created by mixing and matching ideas from different industries, so consider these books even if you are not in technology. As the legendary co-founder of Apple, Jobs has attracted a great deal of media attention and several books have been written about him (e.g. The Presentation Secrets of Steve Jobs: How to Be Insanely Great in Front of Any Audience by Carmine Gallo). There are different lessons we can draw from Jobs’s experience. Here’s one key career lessons: you can achieve great success in an industry despite a lack of traditional credentials (i.e. Jobs was not an engineer). His contribution came from management, bringing consumer friendly design to computers and a willingness to take risks. Mike Lazaridis (Founder of Research in Motion). This was one of the shortest books I read in 2015. Through his success with PayPal and as a venture capitalist, Thiel has attracted significant attention. He has an interesting explanation for why so many young people seek careers in management and finance – they seem like safe bets that make assumptions about the future. Thiel also makes a creative analysis about innovation and the decline of “world changing innovation” in favor of small, incremental change (he sees that shift as a legacy of the Dot Com Crash). From time to time, I think it is valuable to see out new perspectives on the world. That’s one of the reasons I have enjoyed attending Hot Docs documentary film festival over the years. In this section, I highlight a number of books that inspired me to ask new questions. This well researched book makes an outstanding case for the value introverts. If you have long been frustrated by open office environments, then this book will help you understand why. What I liked most about the book was the practical suggestions on how to thrive as an introvert. I hope that the book’s insights will influence future office designers and managers to take a broader view of management and related matters. Resource: I presented a training webinar at ProjectManagement.com based on this book which was highly popular (1500+ views and over 30 comments): How To Succeed As An Introvert Project Manager. Did you know that there are different kinds of thinking? In this book, de Bono presents six ways to think. This is a great book that solves two kinds of problems. First, you can use this book to improve personal creativity. Second, you can use this book to improve results in meetings and collaboration. A key insight from the book is to treat the types of thinking as distinct activities (e.g. restrict Black Hat thinking to the proper time and place rather than using it all the time). This modern personal development classic came out with a new edition in 2015. The book provides a set of foundation principles (e.g. personal responsibility) and then provides additional principles. I also found the Success Principles Resources (e.g. the one year planning guide and the victory log) helpful. If you are embarking on a significant challenge or goal, you will find this book helpful source of encouragement and advice. This was the longest book I read in 2015 and it was well worth the effort. After all, it was the winner of the 2011 Pulitzer Prize for Biography. As America’s first President, Washington has attracted significant attention over the centuries. Chernow points out that many Americans tend to venerate Washington and fail to see him as a whole person. In this sweeping biography, you will learn about Washington’s early life, his family relations and many insights about his varied career (e.g. farming, surveying, military and political). I found the sections describing Washington’s time as President particularly interesting – he had to set expectations and traditions that would shape America for centuries to come. Resource: We can improve our careers by taking inspiration from Washington: Career Hacks From Young George Washington. On a lighter note, I am also interested in wine and enjoy studying the topic. Wine books weave together history, culture, travel, business and culinary pleasure. To that end, here are notes on two wine books I benefited from reading in 2015. In this book, you will find an enjoyable introduction to the world of wine. MacLean covers various aspects of wine including the business (e.g. wine retail and serving wine in restaurants). MacLean does well in providing an excellent survey of wine. I think this book would make a great textbook for a beginner’s wine course. Learning about new parts of the world? Check. Discovering “undiscovered” gems in wine? Check. Fantastic end of chapter wine suggestions? Check. In her second book, MacLean tours the world and brings back reports on wine makers and suggestions for us to enjoy without breaking the bank. My favourite chapters covered Australia, Ontario (i.e. Canada), and Italy. I have tried several of the wines recommended in the book and enjoyed them! On a more serious note, I also found it fascinating to discover how the wine industry has evolved and changed over time (e.g. the resurgence of Sicily). Wow, do our reading lists ever overlap. Thanks for some new material. Lencioni’s books are always a favorite and this year I added The Pheonix Project which is a combination of Lencioni and Goldratt’s the Goal. Highly recommended.